I’ve been playing with Windows 8 for months now on tablets. I’m running it on our lounge room Samsung Series 7 Slate, a Fujitsu Q702 that’s been living in my travel satchel and a Motion F5t that’s in the office with me. I’ve come to really love Windows 8 on a tablet, but I hate it at the same time. It is possible! As a lounge room tablet, Windows 8 is perfect. Boot times are unbelievable! My F5t only takes about 4 seconds once it’s past the Motion BIOS screen. Less than 10 seconds from off and I’m logged in. The kids have no problem with it (from 11 to 2 years old) and since a Windows 8 tablet comes with built in user accounts, it’s much better for family use than iPad or Android. Microsoft Family Safety is built in, so our kids can just login with their user accounts and I can keep an eye on them. That’s out of the box, it even prompts you to see if you want to turn it on when you create a new user. 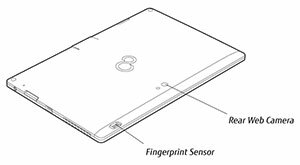 Fingerprint login is fuss free and incredibly reliable (on the Fujitsu Q702 and Motion F5t only), again far less frustrating than having to type in a 4 digit pin code over and over and over again! The kids like the picture login option too. Browsing is near perfect. Whilst the touch version of ie10 does not seem to support flash, the desktop browser is there and it does. Of course I could also choose Chrome, Firefox and even (God forbid) Safari if I wanted to. Ahhh, freedom! Having the desktop browser and the hardware to run it makes a Windows 8 tablet the perfect browsing machine. For example, if I have more than one page open on the Galaxy Note 10.1 or the iPad when I switch between pages they reload. I don’t know how people can stand this, especially on iPad where it’s by far the worst. It’s just irritating. On the other hand, my F5t has 16Gb of RAM, and that’s enough to hold a practically infinite number of web pages in memory. 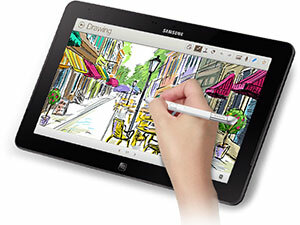 Even the most lightweight of the tablets (the Samsung Series 7 Slate) has 4Gb. Compare that to iPad that typically has only a tiny 512Mb of RAM (only the latest version has 1Gb RAM). No wonder they have to reload web pages every time you switch between them. They just can’t remember. The keyboard options in Windows 8 are great. The flat design and layout works perfectly and auto correct works great. I love the swipe keyboard on my Samsung Android devices, and the Windows 8 tablet keyboards only come in second to that. Not a lot of typing is done in the home of course. The app store is a little light on, but there’s enough there to entertain. So from a home use perspective, Windows 8 Pro hits the spot on a tablet. At work however, it’s a different story. As a long time tablet user Windows 8 is just not working out. When I upgraded the Solid State Drive in my main Motion F5t this week, it stayed with Windows 7. It’s likely to stay that way for some time. Consumer tablets will continue to have a place in the enterprise thanks to their cheap prices and cachet. But for anything more than the most casual computing Windows 8 tablets will give enterprises a tool that solves a lot of problems. It is a tool that has been missing until now. 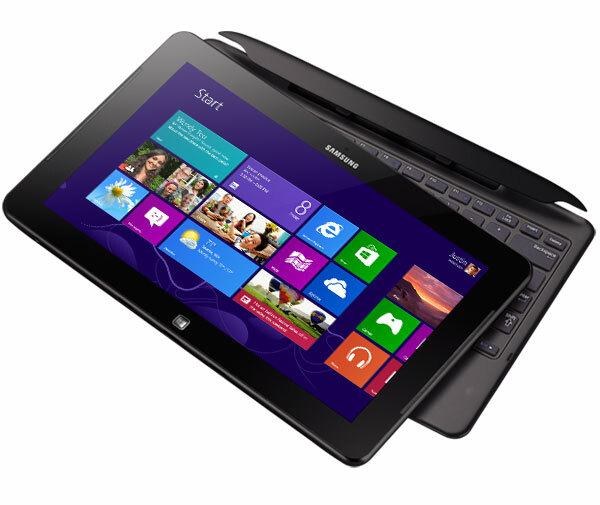 Business users are spoilt for choice when it comes to Windows 8 tablets. Arguably any tablet running the full version of Windows 8 would be suitable, given its ability to run legacy software, but there are certain models that are better suited for work. 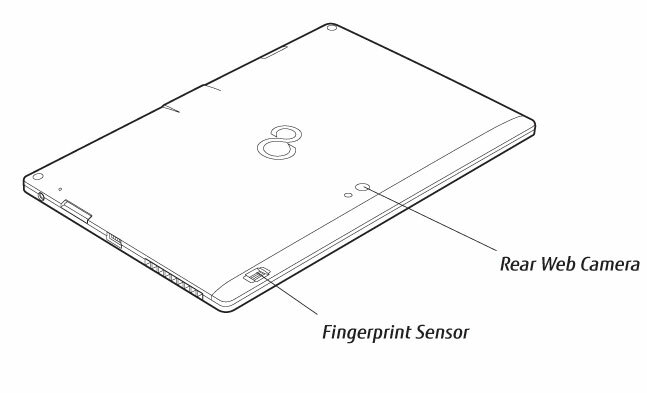 The new Tablet Input Panel forces us into a 2 line handwriting recognition box that covers too much of the screen. A real problem for desktop apps. Two finger right clicking with touch is gone. The fast way to right click now only gives way to the slow way (press, hold, wait). Touch flicks have disappeared off the face of the earth. Pen flicks work intermittently and appear to be a bit broken. The ie10 web page area appears to have an overlay that prevents them from working anywhere apart from on the toolbars and program edges. OneNote doesn’t seem to be able to determine if touch or pen is in use reliably and so scrolling with touch is not working well. I’m hopeful that these technical glitches will be looked at. I certainly hope to raise them with the people in Redmond when I visit next month… Anyone who will listen that is! No doubt these issues stem from the radical changes to so many interfaces in Windows to accommodate things like smooth touch scrolling and speed responses to touch. But I would hope that Windows returns to it’s roots and allows power users to customise the user interface. If you haven’t used a Windows tablet before, then the new Windows 8 tablets will satisfy. They are without doubt the best, fastest, most flexible and easiest to use tablets on the market.